Click the Browse tab, then click Routes. Click the host name to open your application in a browser new tab. 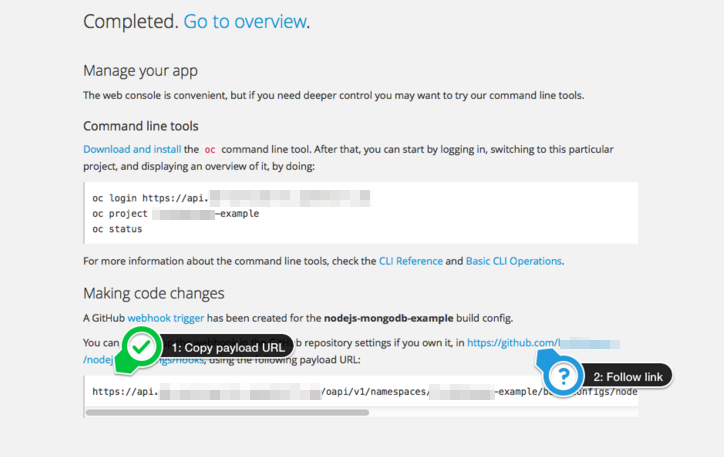 If your webhook is correctly configured, your application will immediately rebuild itself based on your changes. View your application using a web browser to see your changes. 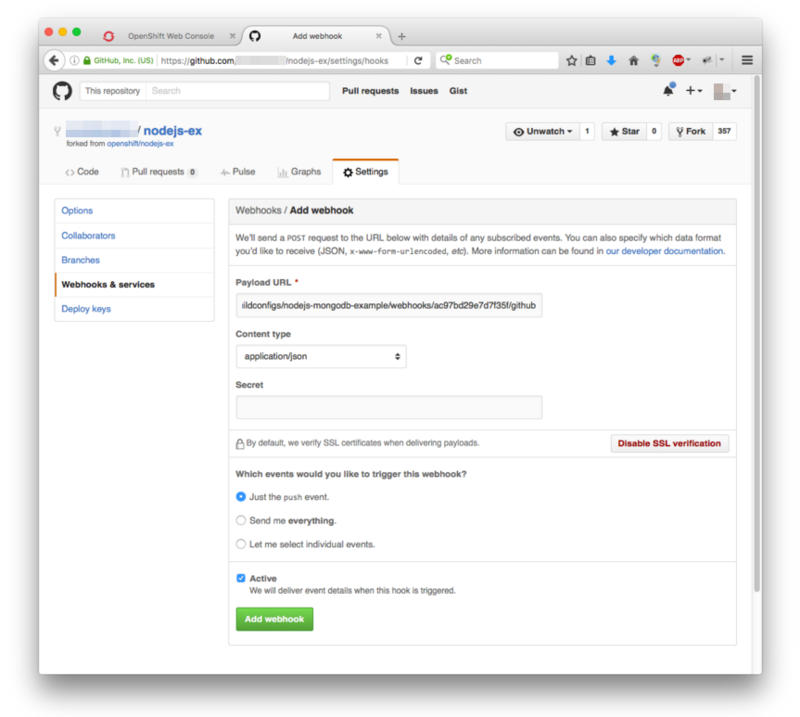 Now going forward, all you need to do is push code updates and OpenShift Online handles the rest. 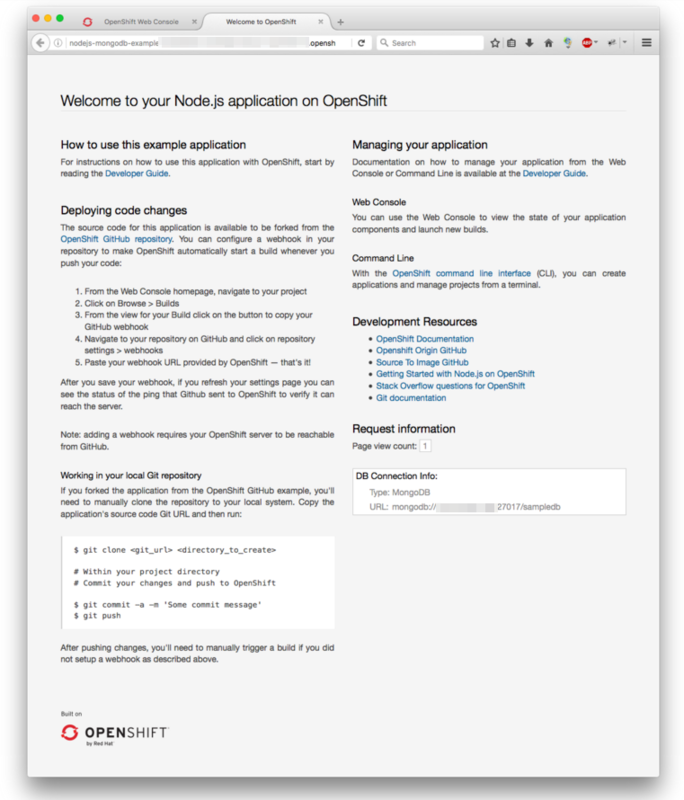 OpenShift Online Starter users are unable to scale applications. 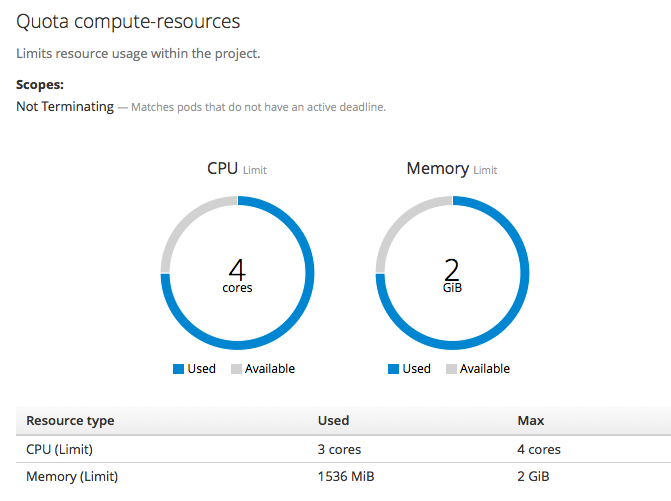 Only OpenShift Online Pro users have this ability. 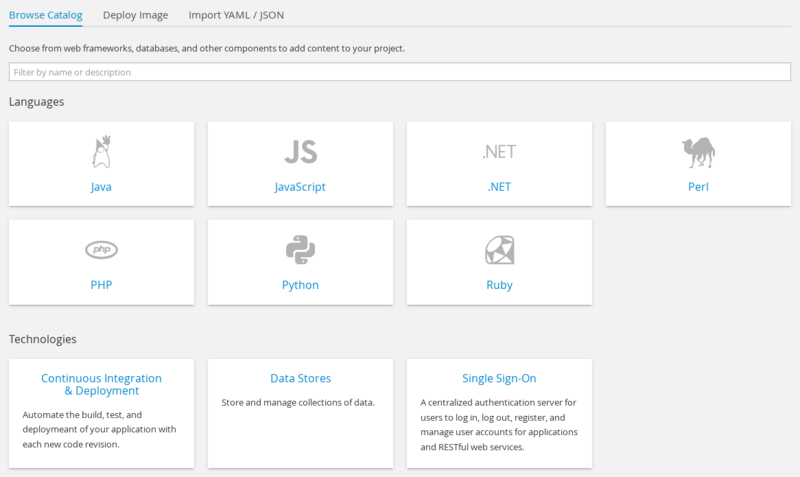 In this section, you will add additional instances of your Node.js service so that your application can handle additional traffic volume. The nodejs-mongodb-example Quickstart is configured to use 512 MiB of memory per pod. 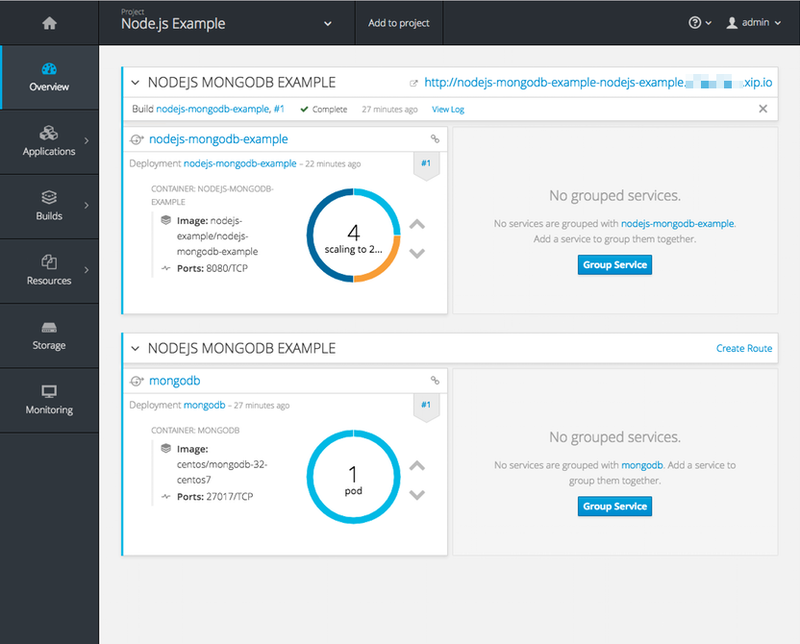 Your OpenShift Online Pro quota will allow up to 3 replicas of the nodejs-mongodb-example pod in addition to the MongoDB database (for a total of 2 GiB). 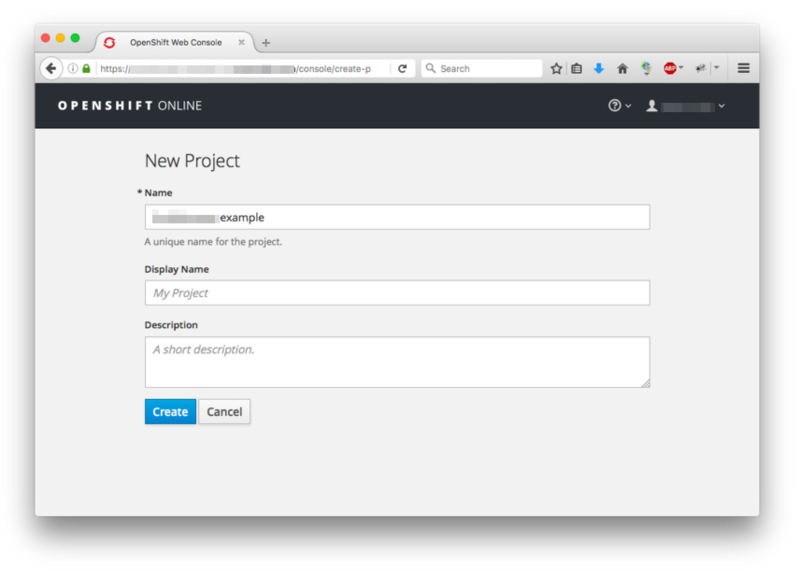 Next, we’ll go beyond the basics using the OpenShift Online CLI to compose this same application using individual images.